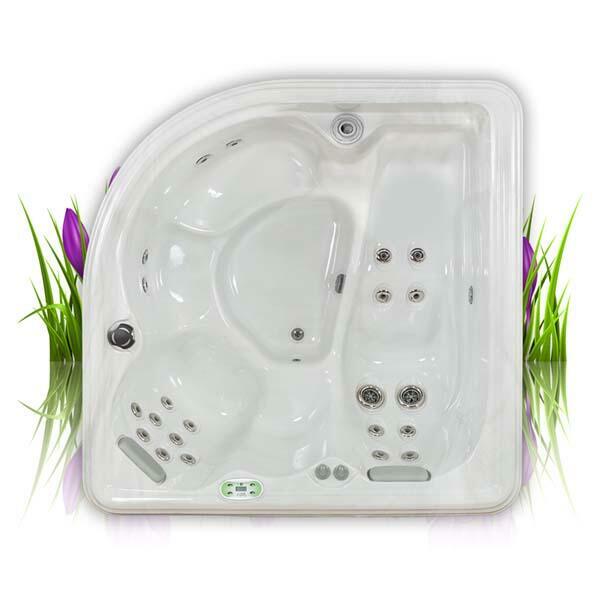 Lay back, unwind and engulf yourself with the ultimate in relaxation - Hydrotherapy. 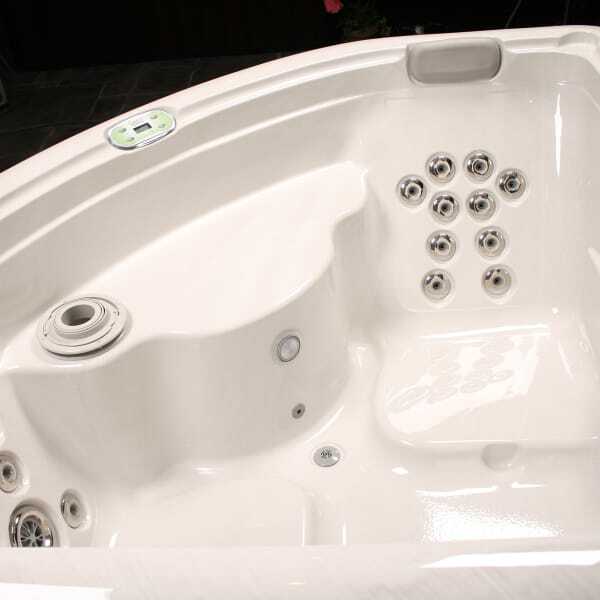 The Camellia has a unique shell design, perfect for placing in the corner of a deck or patio with comfortable seating for 2. Each seat has jets placed strategically to focus on the major muscle areas in the back, providing long lasting comfort and therapy. 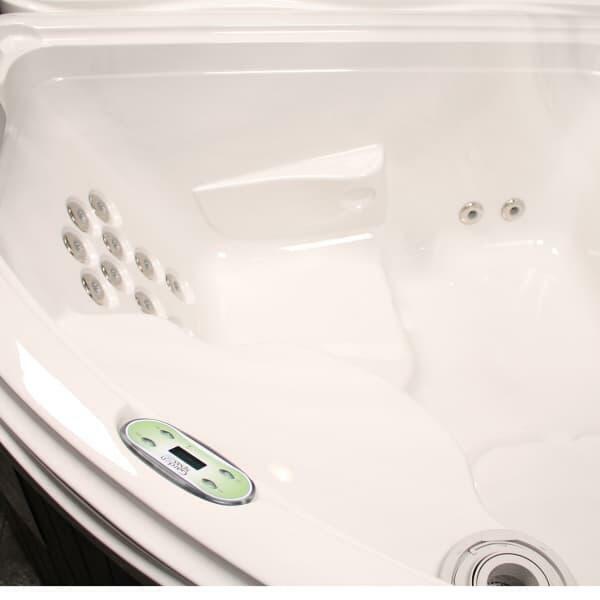 Although packed with numerous standard features like stainless steel jets and digital controls, the Camellia has stunning curbside appeal with an opal colored shell and black maintenance free exterior cabinetry. 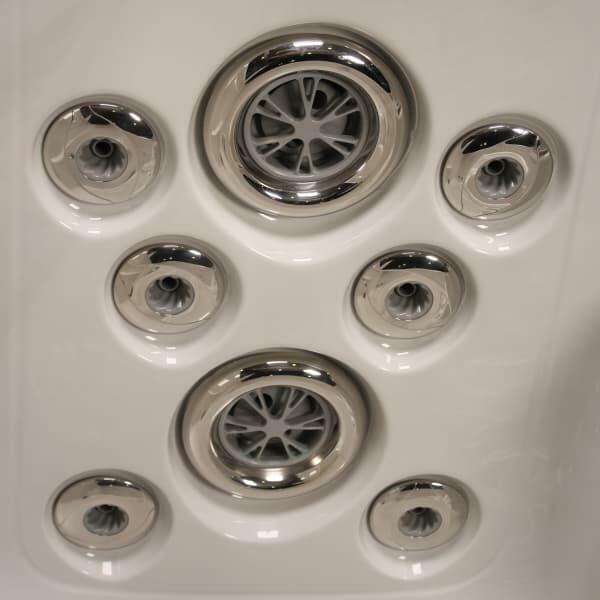 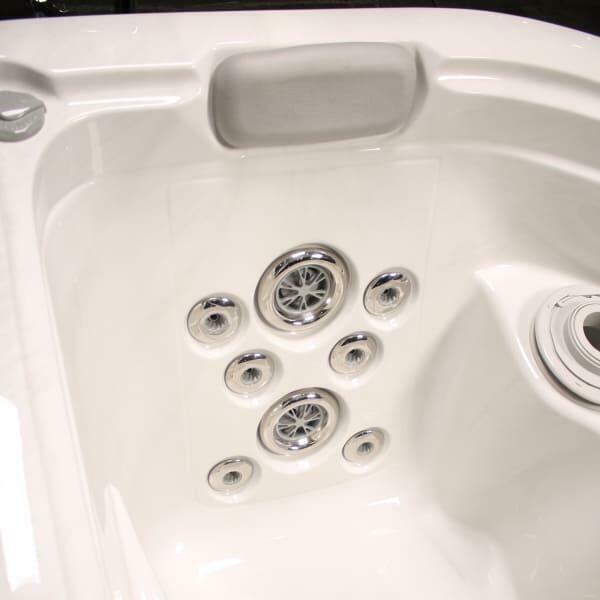 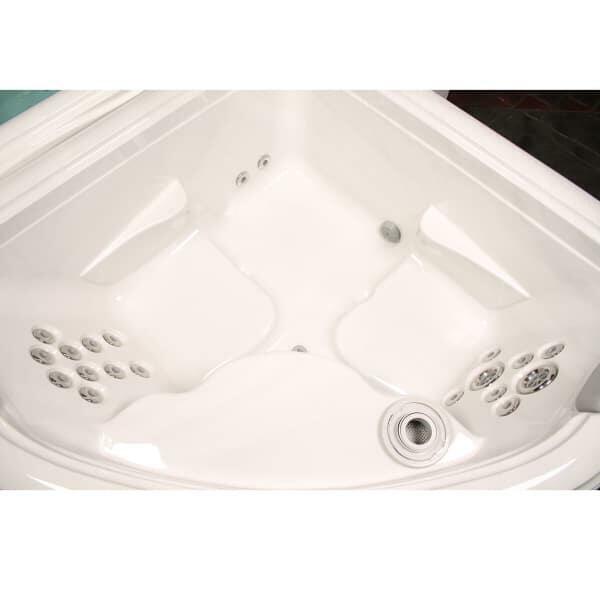 If you are looking for a small tub with big massage look no further. 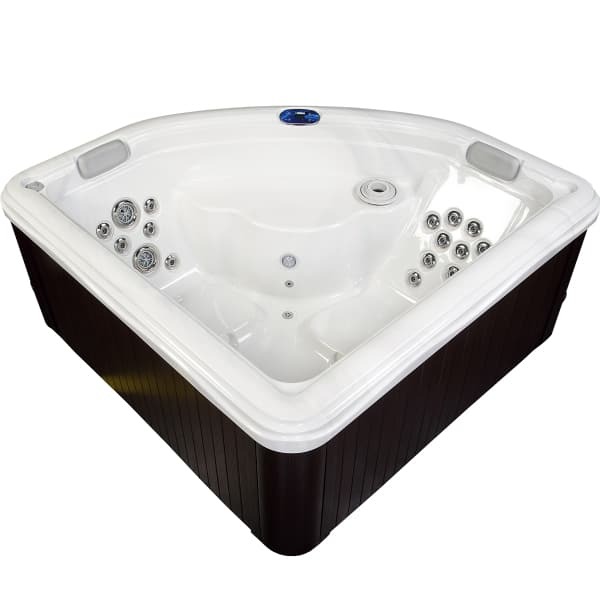 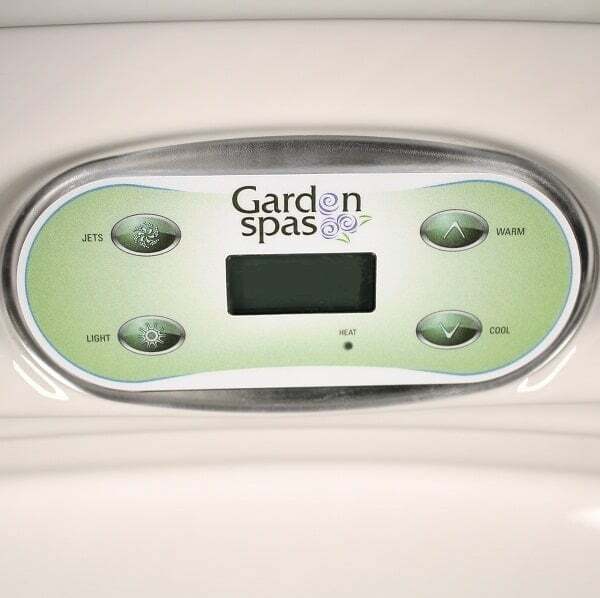 Quality, performance and value, that's a Garden Spa!